Sorry, no child discount on this tour. We will meet at JFK airport; our flight is at 7:40 am. We recommend that you arrive 5:40 am to check in and go through security. You will meet your tour leader from Hines Tours at the gate at JFK. We will arrive at Las Vegas Airport at 10:13 am. We will take a short taxi ride to pick up a van that we will use for the duration of the tour and drive to southern Utah which is where our adventure will start. 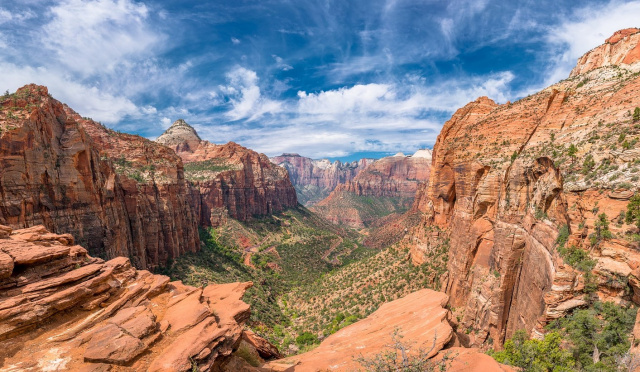 Utah is a state of unparalleled natural beauty with no less than 5 National Parks; a true outdoor person’s paradise. 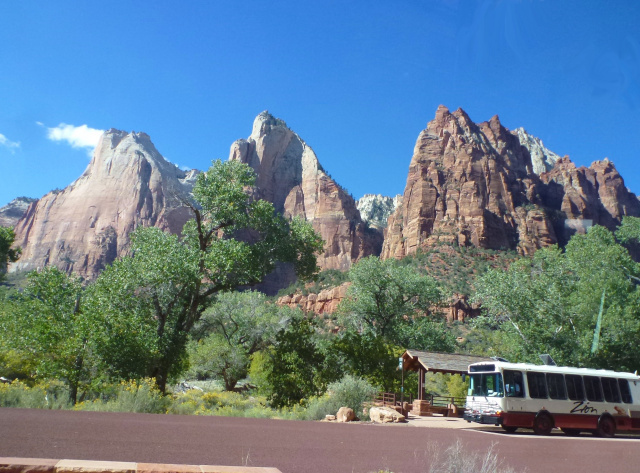 On this tour, we will visit two of the parks, Zion and Bryce. When we drive from Las Vegas to Utah on the first day, we will “warm up” with a visit to a state park, Snow Canyon State Park. This is a 7,400-acre scenic park full of dramatic landscapes and beautiful sceneries, sculpted by water, wind and time, cutting into the Navajo sandstone cliffs. You may find yourself wondering why this place isn't a National Park - if it was located in any other state but Utah, it probably would be one. Part of the geology was carved by lava flows exerting their powerful force, reshaping the canyons, and creating the park’s distinctive landscapes. The blend of Navajo sandstone cliffs, petrified sand dunes, and broad lava fields in a strikingly colorful desert environment makes this terrain a fantastic playground for all outdoorsy people alike. 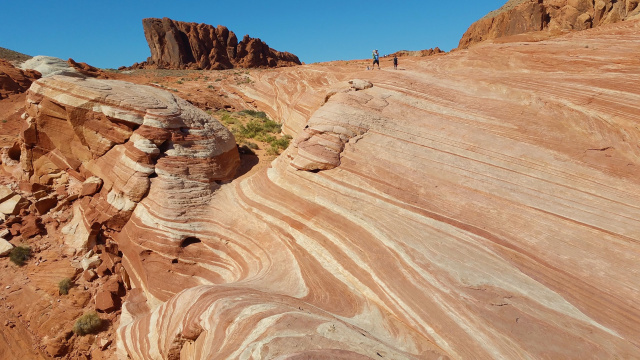 Snow Canyon State Park is located within the 62,000 acre Red Cliffs Desert Reserve, established to protect the federally listed desert tortoise and its habitat. The park offers many activities such as hiking, nature studies, wildlife viewing, photography etc. We will explore some of the hiking trails within an easy to moderate level. You can choose to hike with your tour leader or on your own. 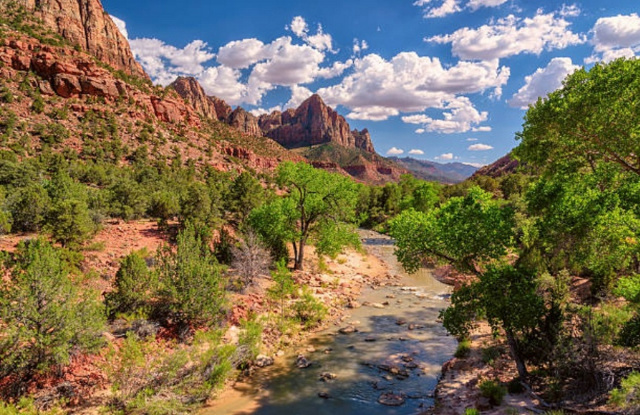 Zion National Park is Utah’s first National Park, a prominent feature of the 229-square mile park is Zion Canyon, which stretches 15 miles long and spans up to half a mile deep. The canyon is created from the Virgin River carving through reddish and tan-colored Navajo Sandstone for millions of years. The park has a unique geography and a variety of life zones that allow for unusual plant and animal diversity. 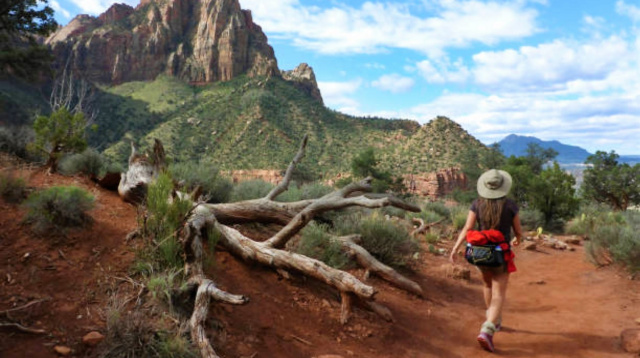 Zion is a paradise for hikers. 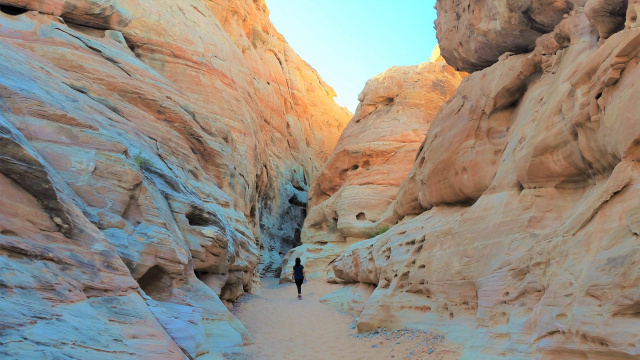 You will find everything from easy sidewalk-grade paths with no elevation to narrow slot canyons where you have to wade in water and chain-anchored ascent of vertiginous narrow mountain trails. Zion has it all. We are not allowed to drive with our vehicle in the main part of the canyon. The main part is only for shuttle buses which run very frequently. Your day inside the canyon is unguided, but it is very easy to take the shuttle bus to 9 different stops from where you will find numerous hiking trails of different levels. We will help you plan your day beforehand and give you advice and literature for you to find trails that will fit your comfort level and interest. Below you will find some photos of hikes that you can immerse your self into in this beautiful place. There is no place like Bryce Canyon. 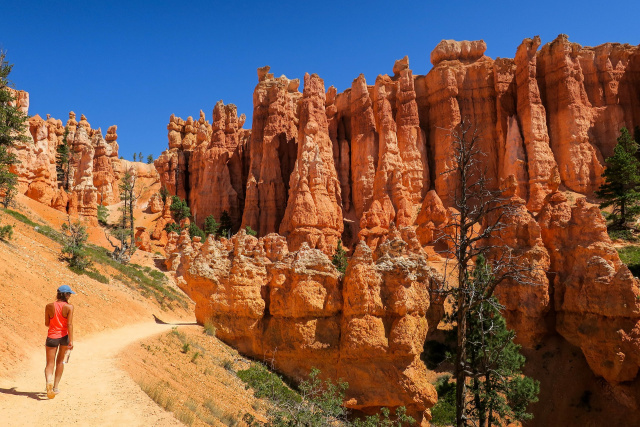 Hoodoos (odd-shaped pillars of rock left standing from the forces of erosion) can be found on every continent, but Bryce has the largest collection of hoodoos in the world. Photographs do not do it justice; you just have to come and see it for yourself. 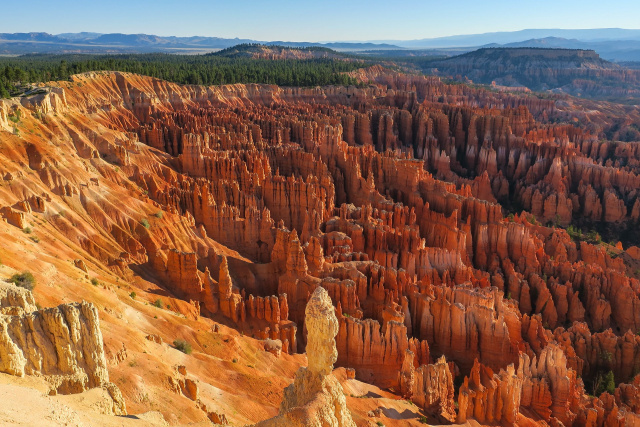 Bryce’s distinctive hoodoos, formed by frost weathering and stream erosion of the river and lake bed sedimentary rocks. The hoodoos are up to 200 feet high. The red, orange, and white colors of the rocks provide spectacular views for park visitors. This surreal landscape is what brings people from around the world to visit Bryce Canyon National Park. Bryce sits at a much higher elevation than Zion National Park. The rim at Bryce varies from 8,000 to 9,000 feet. Bryce Canyon is usually 15-20 degrees colder than Zion National Park. We will drive you to a few of the different overlooks from the rim. 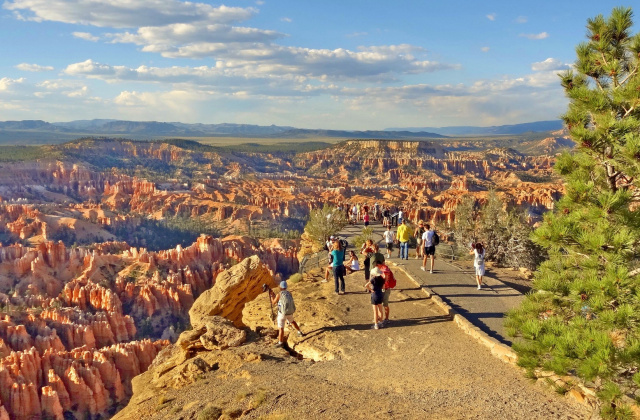 We will also give you ample time to emerge yourself in a hike below the rim into the expansive Bryce Amphitheater, this is the best way to experience this amazing geography. If you don’t feel like hiking below the rim, you can stay above and hike part of the flat rim trail. We will visit Nevada’s oldest and largest state park, Valley of Fire. To make this tour affordable for everyone, we will choose a basic but comfortable 2-3-star hotel with a minimum Google & TripAdvisor guest rating of 3.5 (on a 1 to 5 scale). 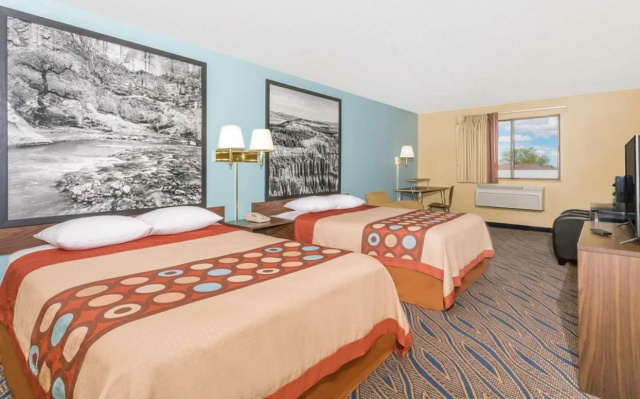 You room will have private bath, a refrigerator, microwave, and comes with free Wifi. On the first day in the evening we will drive to a supermarket where you can buy water/snacks for the next three days. And if you really want to save money on the meals that we don’t include, you can buy food here and use your room’s refrigerator and microwave. Some of the days, we will stop at a place in the mornings where you can buy sandwiches/hoagies etc. to bring on our day trips. We recommend that you bring a collapsible cooler to keep your lunch fresh. We will also inform you of alternative options if a sandwich doesn’t excite you. Bags: We will fly with American Airlines; they allow one carry-on bag (max length 22" including wheels and handles, width 14", and height 9", weighing up to 40 pounds, plus one personal item which has to fit underneath the seat in front of you (we highly recommend that as a personal item you bring a backpack you can use for our day tours (max 8” x 14” x 18). Since we have limited space in our transportation vehicle, we suggest that you don’t bring more than that. If you feel the need to bring a bag to check in (up to 50 pounds) you will have to pay an additional $30 each way. For your carry-on bag, please make sure that any containers with liquids are limited to 3.4 ounces (100 ml). Dress in layers. Between the two national parks we can experience temperatures anywhere from 32 to 80 degrees. On one hike the temperature can easily change 20 degrees. We don’t recommend you bring a winter coat, it is better to wear a lot of layers under a fall jacket. For this tour we will mail you our liability waiver with a stamped envelope which you have to fill out and mail back to us latest one week before the tour. 14 days or less before departure - No refund or tour credit. If you are concerned about losing money due to illness or other unpredictable matters, we highly recommend buying travel insurance. We can recommend www.insuremytrip.com (Hines Tours is not affiliated with this site in any form).